"... Second product from this brand and I am hooked. I used to be a big gaspari fan but in all honest in recent times their products have been pretty weak. Anyways, back to encharge. It's really great. I was having pretty good results form Con-Cret product and I thought that was good but this blows it away. Most significant things I noticed was within the first week strength went up and after that muscle fullness and size started to climb. This has been happening for the past 6 weeks and no signs of slowing down. A bit more pricier than the average product but to be honest this one actually works so that is why I will be re-ordering." Specifically Designed for Athletes that are truly serious about attaining elite Results! Rivalus has taken the supplement world by surprise with their elite product line that include Encharge, a superior form of creatine supplementation to improve muscle size and strength. It contains two main factors, Sinergy and Myocharge. This includes a total of four different highly effective creatines along with a mix of beta-alanine, vinpocetine and Siberian Rhodiola Rosea. 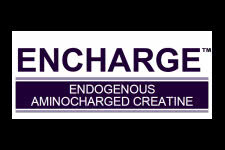 Unlike regular creatine products such as monohydrate or CEE, Encharge actually makes creatine supercharged, enabling it to work fast and more efficiently. Used as directed, 3 capsules in the AM and 3 more in mid-afternoon and on training days about 45 minutes prior to exercise - you will see results within the first week. If you have any interest in taking your speed, recovery, strength and new muscle growth to a serious advanced level in a safe and effective manner, then don't delay and start using Encharge today!